Georg Dionysius Ehret. From The Natural History of Carolina, Florida, and the Bahama Islands, by Mark Catesby, 1771, vol. 2. 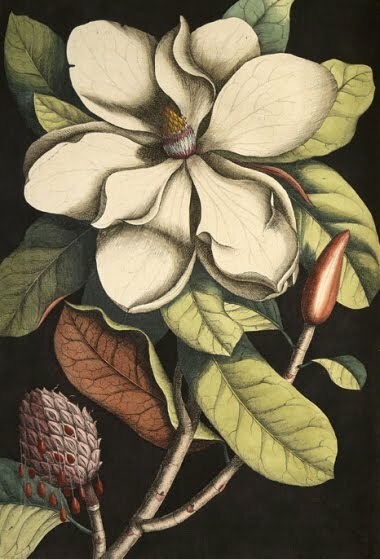 Hand-colored engraving. Barbara Regina Dietzsch. 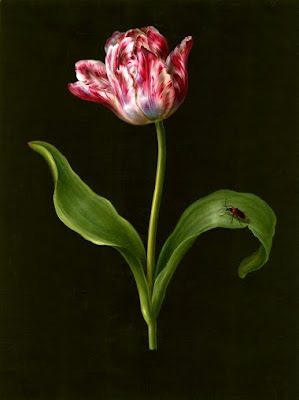 Tulipa (parrot), 1750-1759. Gouache. Peter Henderson and Company. Nursery Catalog, 1889. Lithograph. Matthaeus Merian. 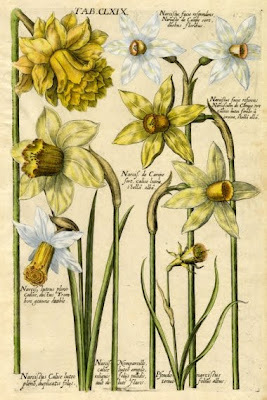 Narcissus varieties, from Viridarium reformatum… by D. Mich. Bernh. Valentini, 1719. 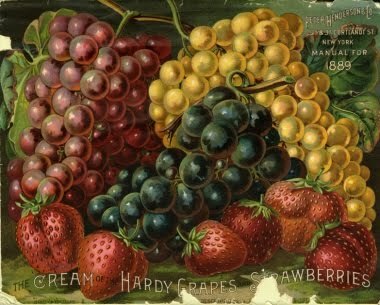 Hand-colored line engraving. 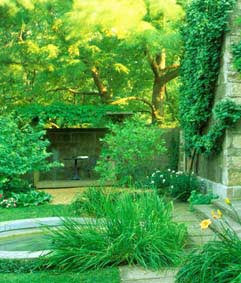 The May T. Watts Reading Garden At The Morton Arboretum. There is good reading on the land, first-hand reading involving no symbols. The records are written in forests, in fencerows, in bogs, in playgrounds, in pastures, in gardens, in canyons, in tree rings. The records were made by sun and shade, by wind, rain, and fire, by time; and by animals. As we read what is written on the land, finding accounts of the past, predictions of the future, and comments on the present, we discover there are many interwoven strands to each story... -May Theilgaard Watts, preface to Reading the Landscape: An Adventure In Ecology, 1957. 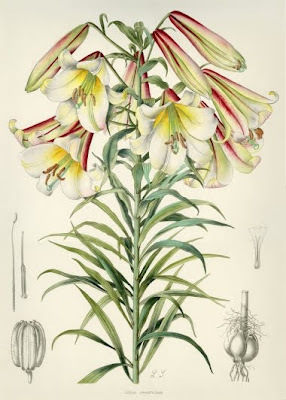 Lilian Snelling. Lilium centifolum, 1933 Hand-colored zincograph. Anne Ophelia Todd Dowden. 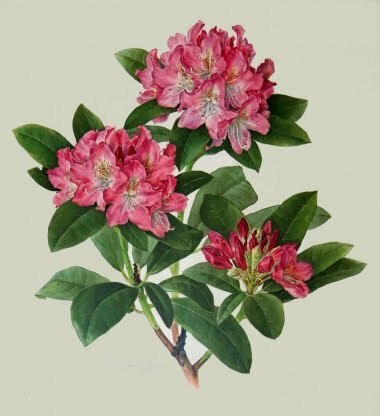 Rhododendron 'Holden'. 1974. Reproduction of original watercolor. 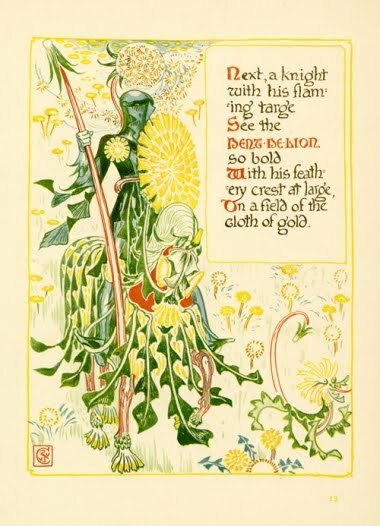 Walter Crane. From A Floral Fantasy in an Old English Garden, 1899. Color relief print. Thank you, Nancy, for the generous post on our fabulous exhibit, but I can't take all the credit! In reality, it was a collaborative effort between myself, Rita Hassert, Technical Services Librarian, and Arlene Widrevitz,Assistant in the Rare Print Collection. We all brought our various strengths and talents together to produce what you see in person and online. We are pleased that you enjoyed the exhibit enough to feature it on your blog. Flora! Illuminated... will be up through the end of June for anyone in the Chicago area that would like to see it in person! I'm so glad you liked the piece, Nancy. I've added your colleagues names as co-curators--you all did a splendid job on the online exhibit. I look at a lot of these for Booktryst, and yours was by far one of the best I've seen.